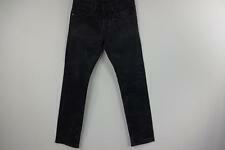 Levi's Womens Vintage Leather Waist Tab Denim Jeans Black W33 L33 Grade A M513. The hem has been left raw so can be adjusted to suit yourself. 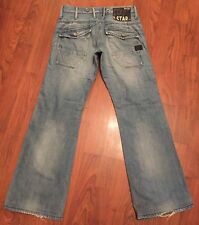 Women's G STAR Jeans W26 L28 Lock Loose Style Zip Fly Leather Badging Back Pockets With Metal Buttons Wear On Heels Tag States L30 Slightly Shrunk Hence Size Advertised L28 Is Correct Blue. All Saints Spitafields Delors Pipe Skinny. As worn by Katy Perry, All Saints Spitafields Black Delors Pipe Skinny Black Leather Pants Trousers. Size: W27 / UK8. Gorgeous buttersoft black Lambskin Leather Biker Pants. Dorothy perkins petite 10 Leather Style trousers black ladies womens. Condition is Used. Dispatched with Royal Mail 2nd Class. The Skinny is the skinniest fit from 7 for All Mankind, and this sueded version is as soft as it is flattering. Slim fit through skinny legs; 10" leg openings. Five-pocket style. They have a Rear Black Leather Plaque with "Each Other Paris " Impressed on it. • Fabulous Alice Olivia pale blue faded boot cut jeans. • Inside leg. • Inside leg. Inside leg: 26.5 (2" turned up / folded hem) rise 11.5", waistband flat 12".